Time to Re-Boot: What Next for Podcasting? 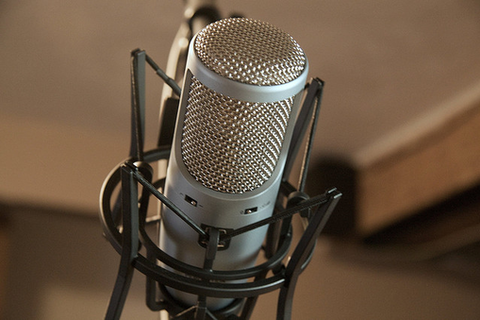 Podcasting allows creators to directly connect with a global audience while avoiding the gatekeepers and bureaucracy of traditional broadcast media. But since iTunes’ native support for podcasting arrived back in 2005, it’s been claimed that independent development of the medium has atrophied. The BBC has dropped the word “podcast” in favour of “download” because a majority of listeners still don’t know what a podcast is, while at the same time Audioboo founder Mark Rock calls podcasting “an old-fashioned approach to getting content on the internet." Is podcasting being superseded by socially curated audio platforms like Soundcloud and AudioBoo? What advantages does podcasting hold over its older and younger rivals and how can producers harness the best aspects of both to become more powerful than ever? An award winning BBC radio producer asks a transatlantic panel of podcasting hotshots if now's the time for a podcast re-boot. Colin Anderson is a staff producer in the BBC's Radio Comedy Department. In 2009-10 he spent a year working with the news team at San Francisco local public radio station KALW, having become an international fan of their Crosscurrents podcast. He's won Sony Radio Academy Awards in the UK for Mark Thomas: My Life in Serious Organised Crime and The Now Show, with a further nomination for cult music and comedy show The Milk Run. In his spare time he produces the transatlantic comedy quiz podcast International Waters. Helen Zaltzman is the co-host of Sony Award-winning independent comedy podcast Answer Me This!, which she has been making in her suburban London living room since January 2007. She is resident internet expert on BBC 5 Live and BBC Radio 2, and writes comedy for TV and radio. Roman Mars is the host and creator of 99% Invisible, a short radio show about architecture and design. The Season 3 fundraising campaign for 99% Invisible is currently the highest-funded journalism project in Kickstarter history. The campaign was widely considered a watershed moment for independent public media, and was written about in The Economist, Wired, Time Magazine, and other publications. With over 7 million downloads, the 99% Invisible podcast recently reached #2 in the iTunes rankings for all podcasts and #1 in both the Arts and Design categories. Mars is also the host and director of Public Radio Remix from PRX. His reported and documentary work has aired on Radiolab, The Story, Snap Judgment, Morning Edition, among other broadcast outlets. His work has won numerous awards and has been presented at the Museum of Contemporary Art in Chicago.